Very Good. Back to Work: Why We Need Smart Government for a Strong Economy by Clinton, President Bill. Sewn binding. Paper over boards. With dust jacket. 196 p.
Good. 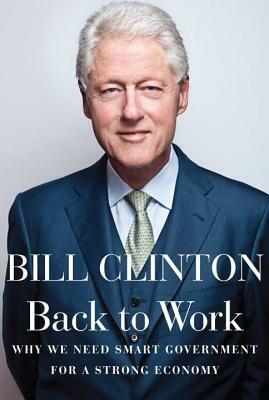 Back to Work: Why We Need Smart Government for a Strong Economy by Clinton, President Bill. Sewn binding. Paper over boards. With dust jacket. 196 p.
New. 0307959759 Ships from Tennessee, usually the same or next day.